I have become the queen of simple, 20 minute recipes. With a baby that refuses to nap for longer than 40 minutes at a time during the day, you have to adapt, I guess! 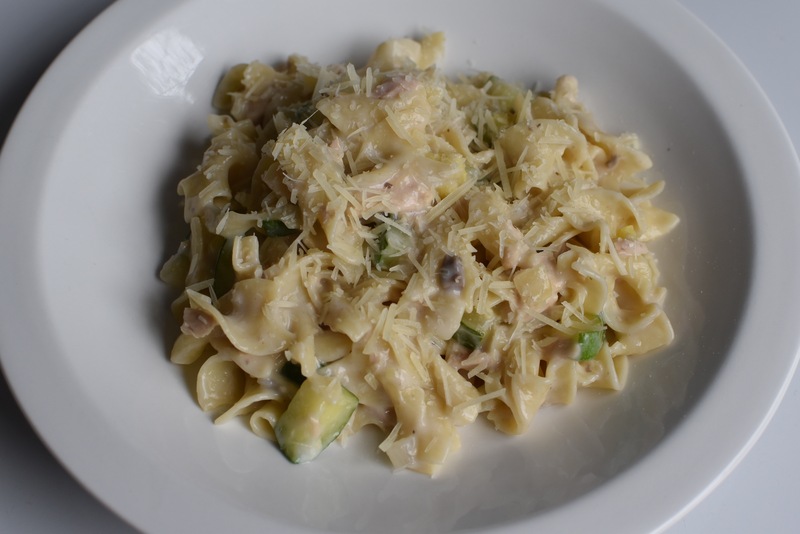 Here’s a good recipe for a quick lunch or dinner that is sure to satisfy. It also doesn’t take a lot of ingredients: Egg noodles, mushroom soup, and tuna. If you have no fresh veggies on hand, this is your meal. Go for it! I was lucky. I had a zucchini and some onions in the fridge. I diced them up and cooked them down a little. Next, I added the tuna and the soup. I stirred in a little milk to make the sauce a little less thick and voila! An easy pasta sauce! Mix it all in with the egg noodles. Then top with a little Parmesan cheese for some added yumminess. Start off my boiling your water for the egg noodles. 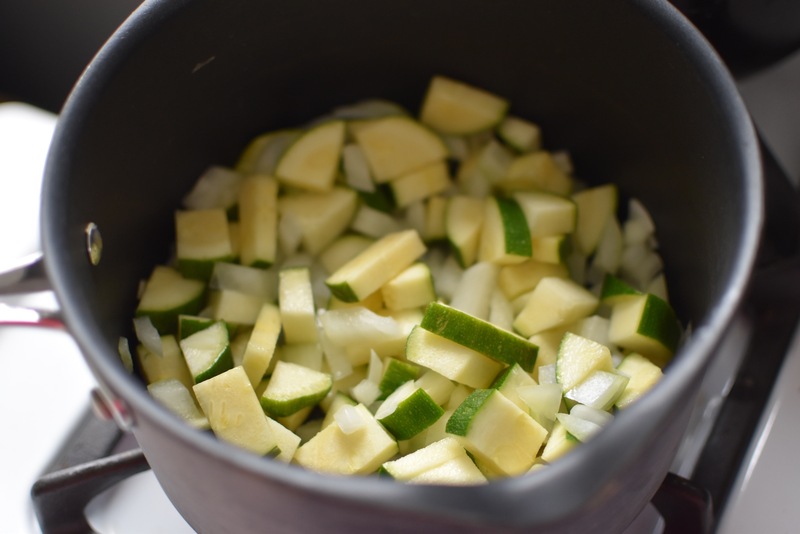 Next, dice the zucchini and the onion and saute them in a medium pot with a little oil. 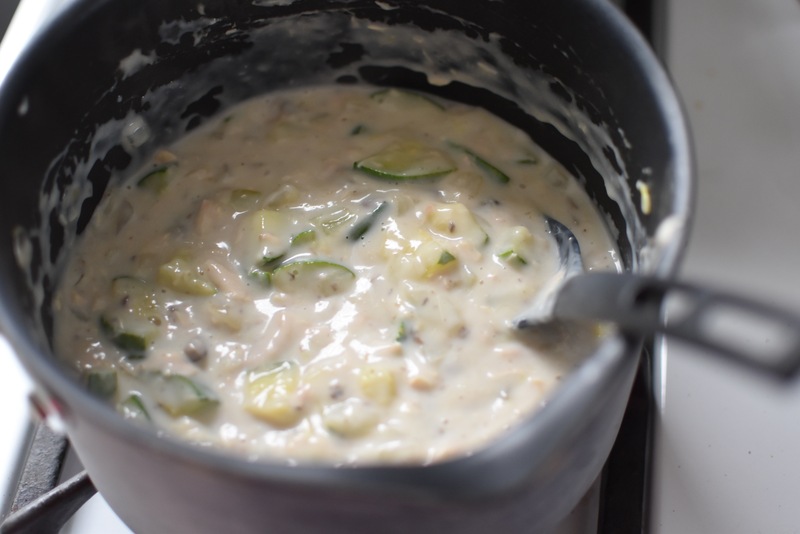 When the veggies are tender, add the tuna and mushroom soup and mix thoroughly. Add the milk and incorporate. Make noodles according to the package instructions. 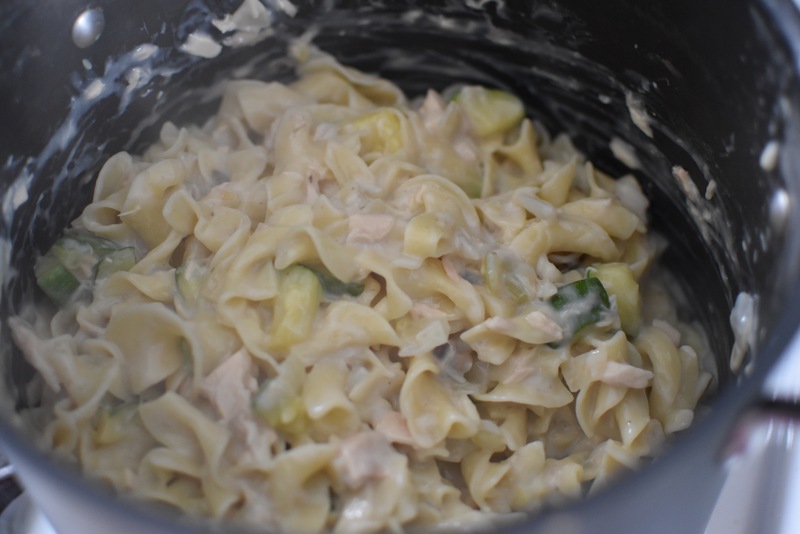 When the noodles are cooked, incorporate the sauce and the noodles in a big pot together. Serve and top with Parmesan cheese. Enjoy!